Do you know how many people are not used to talk about their feelings? Especially at work this seems to be a “no go”. At the same time I have discovered how many people feel anxious on a daily basis. If you are one of these people, I applaud you for your strength to make life work to the best of your abilities. I used to teach at the college and whenever one of my students struggled with depression or anxiety, I, as the teacher, received a letter that these students should be excluded from certain activities. I always took the time to sit down with the student to have a good conversation. I told him/her that they wouldn’t be forced to do anything they wouldn’t want to but they should consider how beneficial it would be if they would learn to overcome their fears and develop mental strength. Every single one of them in my 3 years of teaching took on the challenge and thanked me at the end of the semester. One girl said that my conversation with her literally changed her life. Cool, right? To be honest, I am not a psychologist but I really dislike to label people. Period. When I was young nobody talked about ADD (attention deficit disorder), ADHD (attention deficit hyperactivity disorder), depression or anxiety. We were bored in certain classes. You bet. We couldn’t sit still. I was certainly one of them. However, we had no words that put a label on us. Our behaviour wasn’t classified and we were not made wrong. I also think that we were more active when we grew up. Obviously there was no tablet, no smart phone, and no laptop, and TV was limited while outdoor activities were unlimited. Could this have anything to do with it? We have it backwards these days. At work it isn’t much different. People are overworked, overwhelmed and stressed. Often they don’t see a way out. Eat nutritious and well-balanced meals. Do your best to get 7 hours of sleep. Exercise daily to help you feel good and maintain your mental and physical health. Get into the habit of breathing deeply. Remind yourself that things will always work out in your best interest. Accept that there are things that are outside of your control. Explore what triggers your anxiety – this makes it easier to do something about it. Do your best because that’s all you can do. 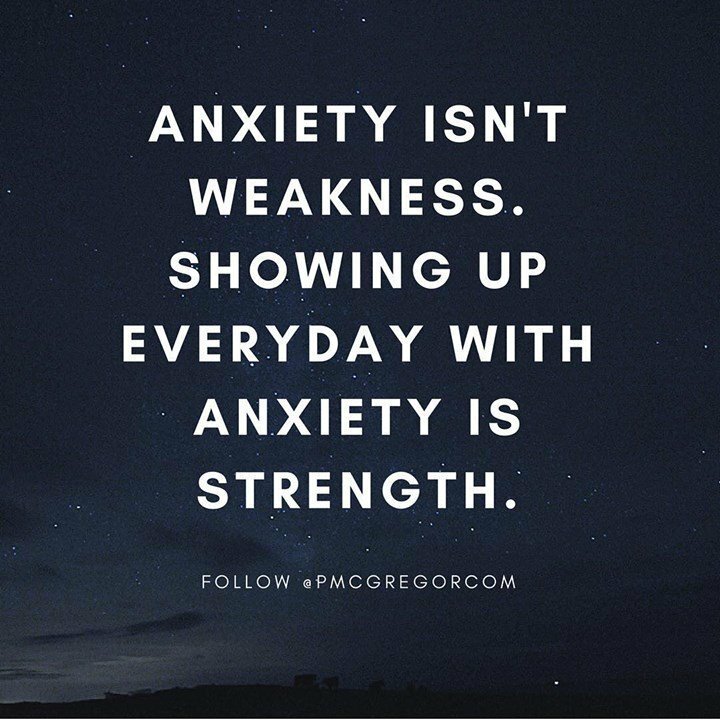 Anxiety doesn’t have to be a life sentence if you face the challenge head-on by taking a moment to analyze the situation . Be patient with yourself and be patient with the people around you, and never forget to ask for help.